Penang Affordable Housing Scheme, also known as PMM, is an effort of the Penang State Government to provide quality housing with affordable prices for Penangites. As you´re reading this blog post, you will also find important information about the new housing development in Penang. So buckle your seat belt and be ready for all the information you are looking for. Batu Kawan is located within Bandar Cassia, around 500 meters away from Design Village outlet. This Penang Residential Property has 520 units in total and prices start at RM 72,500 for a 800 sq.ft apartment. It also has 98 units of 900 square feet, with a price of RM168,000 and 273 units of 1,000 square feet with a price of RM220,000. The Rise is also known as Chelliah Park City. This mixed development project was schemed by Penang State Government, and is located at Jalan S.P. Chelliah, Georgetown, Penang. It has 1,900 units of affordable housing. Prices start at RM72,500 for a 700 square feet unit up to RM400,000 for a 1,000 square feet unit. Uniqueness: A special concept of sustainable and self contained compact development to fit into a central business district. Low Medium Cost: 346 units from 700 square feet with a price of RM72,500. Another affordable housing development by Penang Development Corporation. Jiran Residensi is located at Jalan Bagan Baru 1. The Penang Property New Project is just minutes away from St. Mark´s primary school. - 354 affordable units with two different sizes: 850 square feet and 1,000 square feet. - 353 low medium units of 700 square feet which are priced at RM72,000. Developer: Tanjung Villa Development S.B. Sandilands Foreshore is a new housing development situated at Lintang Macallum 2 in Georgetown. Sandilands is not only a residential development but also a commercial one. Developer: Silver Channel Sdn. Bhd. A new affordable housing development at Jalan Mak Mandin, Butterworth. This amazing project comprises four blocks of 14-storey towers with 780 apartment units. Each unit comes with 3 bedrooms and 2 bathrooms and a very spacious layout. A total built up area of 1,002 square feet with an indicative price of RM247,000 is available. This property development is located within Kampung Tengah, next to the Tun Dr. Lim Chong Eu Expressway. Jelutong has 556 units of low medium cost with a price of RM72,500. Pintasan Cecil is situated between Jalan Pintasan Cecil and Tun Dr. Lim Chong Eu Expressway. The project has 348 low medium cost units with a price of RM72,500. Ampang Jajar is another housing project located within Ampang Jajar township in Butterworth. A mixed residential property development, that comprises two blocks of low medium cost apartments with two blocks of affordable housing. There are 1200 units in total. 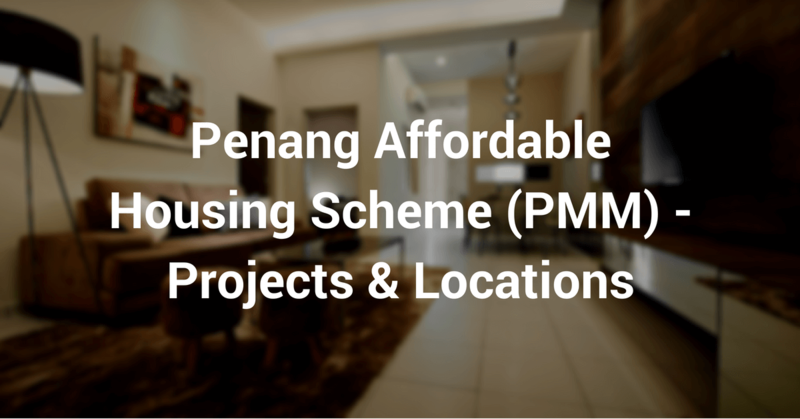 *Click HERE for the second part about the Penang Affordable Housing Scheme.